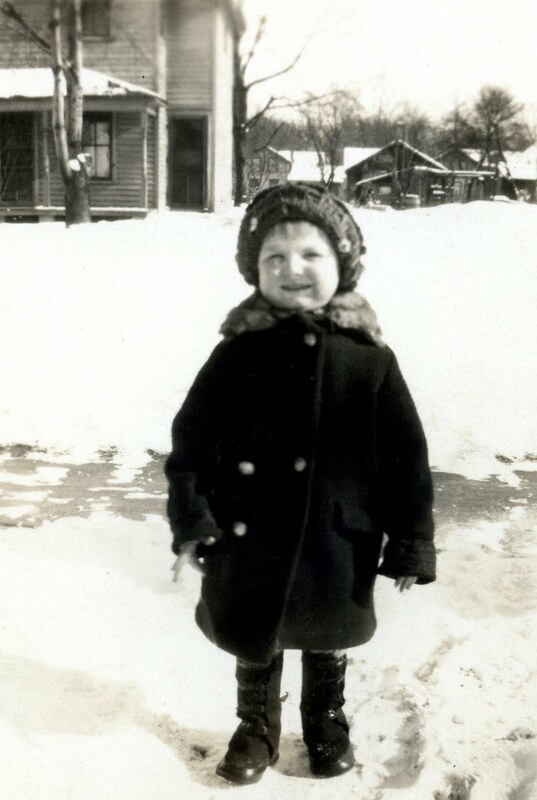 Here's Mother out in the snow in Harvard in 1929 (no gloves). This is one of the main reasons she's glad they moved to Florida. 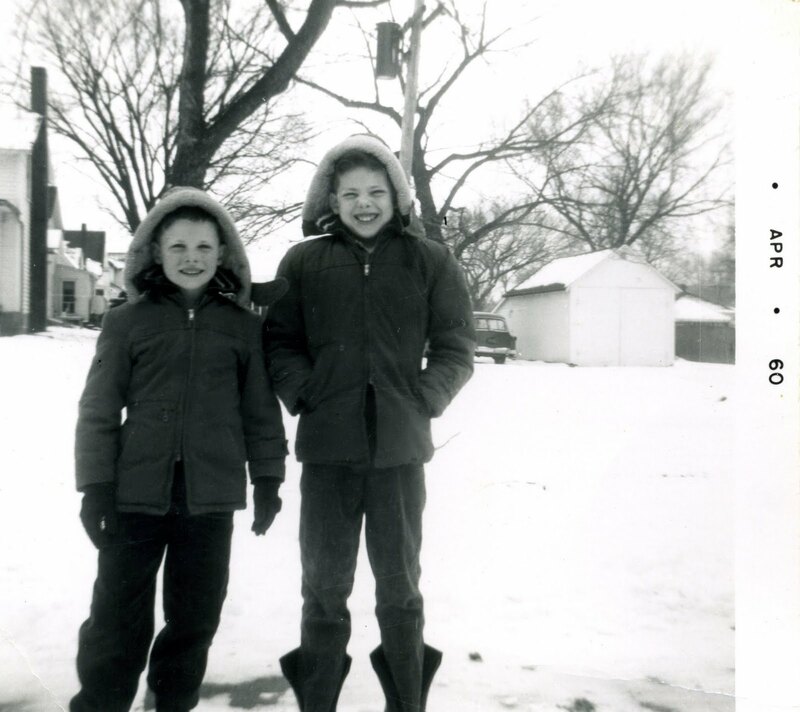 Steve and Dennis posing in the snow in Kingston in winter 1960 - obviously the film was not developed until April. 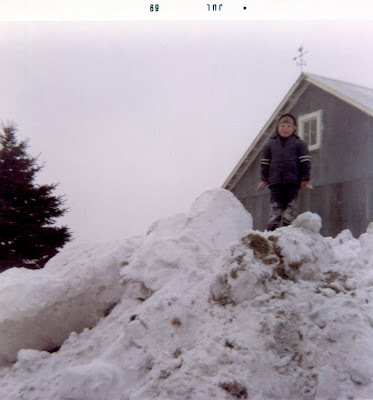 This is another version of Diane on the snow mountain in the winter of 1969 - and this film wasn't developed until JULY! Tuesday, February 1, 2011 - Every once in a while, the wind starts blowing really hard....and the storm hasn't even started yet. It's going to be a nightmare out there. Steve came over and blew the driveway before I had even finished reading the paper. God love him. 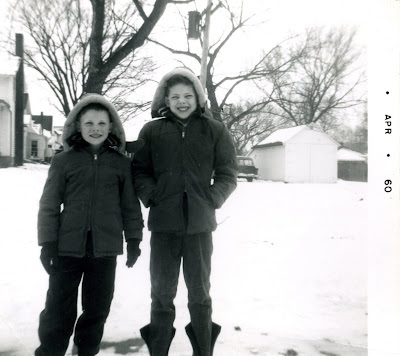 There's going to be a lot of snow blowing going on around here.